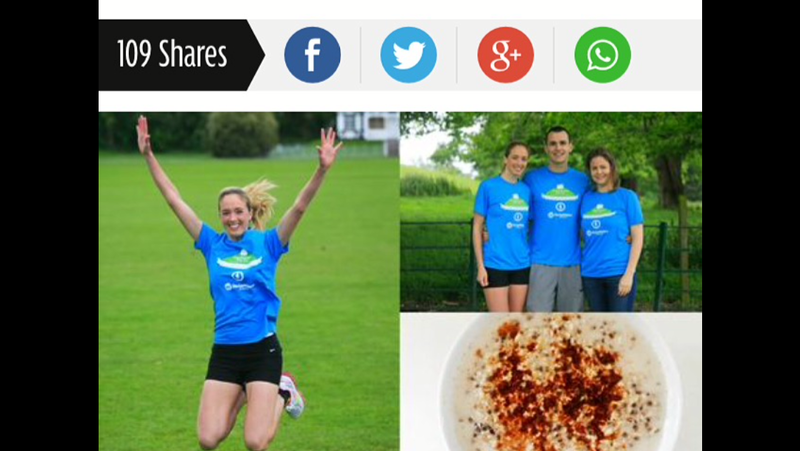 Today is the final instalment of the ‘Get Ireland Fit’ campaign in the Irish Daily Mirror for the Castleknock 5km and I’m sharing a recipe for my Cinnamon Overnight Oats. If you’ve been sticking with the tips and training so far you could be well on your way to building some long term healthy habits. Keep up the good work! If not remember it’s never too late to start, even with just one small change at a time. With just a few days to go until the race make sure to stay well hydrated, plan your meals in advance and always have some healthy snacks to hand to avoid energy slumps and temptation. This week I’m sharing a healthy breakfast recipe for some pre race fuel. With the race starting at 10am we should be eating breakfast by 8 am. These Cinnamon Overnight Oats are great for an early start as they requires zero prep time on the morning of the run. 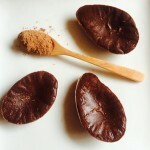 This recipe is also really simple to make and needs just 5 ingredients. Chia seeds are ideal pre race fuel as they are packed full of antioxidants as well as omega 3 fatty acids, fibre, protein, calcium, magnesium and phosphorus. They are such a great energy source that the Aztecs used to eat them before going into battle. This Sunday should be more about fun than battle but it’ll be good to have the energy boost all the same!